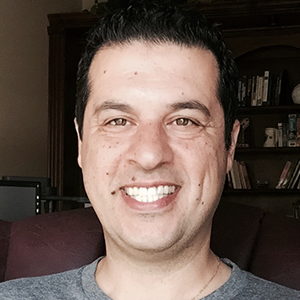 Bedros brings over 17 years of experience in Internet marketing technology and digital media for small to medium sized B2B and B2C companies. An entrepreneur and early pioneer, Bedros began touting a vision for what the Internet could mean for businesses at the outset of the Internet in 1995. Since then, he’s demonstrated a successful track record of having launched and acquired leading Internet SaaS and SEM businesses and grown them into multi-million dollar ventures through both organic and M&A growth strategies. His leadership and experience not only in digital media and technology but also in all facets of business is pivotal in helping Leverage’s clients chart business growth strategies using the Internet. Bedros is a graduate of Northwestern University in Evanston, Illinois with a Bachelor of Science in Electrical Engineering.